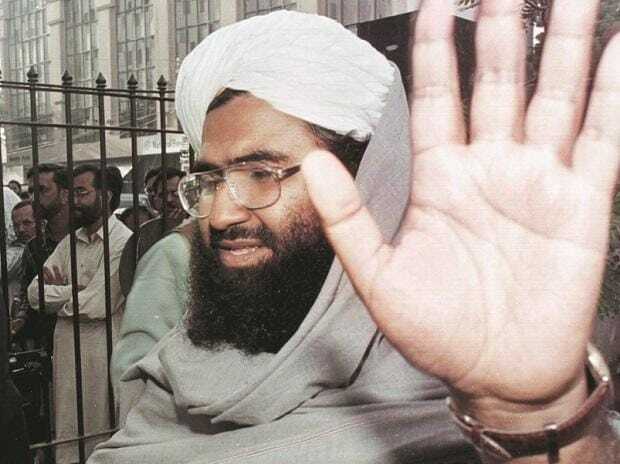 Terror mastermind Masood Azhar had undertaken a month-long sojourn to England to collect funds for militants operating in Jammu and Kashmir and received Rs 15 lakh (Pakistani currency), though he got a "very poor" response while travelling to Sharjah and Saudi Arabia before arriving in India in 1994. Azhar, the founder of Jaish-e-Mohammad, responsible for a series of terror strikes in India including the attack on Parliament in 2001 and a CRPF convoy in Pulwama last month, had procured a Pakistani passport in his real name and original address in 1986 and had extensively toured African and Gulf countries where he realised that the Arab nations were not sympathetic to the "Kashmir cause". "I stayed with Mufti Ismail in the UK for about a month and visited several mosques in Birmingham, Nottingham, Burleigh, Sheffield, Dudsbury and Leicester where I sought financial assistance for Kashmir (militants). I could collect Rs 15 lakh (Pakistani currency)," he told his interrogators. "Since Hizbul Mujahideen owed allegiance to Jamat, we were politely refused any aid. The Arab nations as such do not want to give aid for the Kashmir cause," he told the interrogators. The Pakistan-based terrorist, who was arrested in Jammu and Kashmir within the next two weeks, had also stayed in capital's hotel Janpath and visited Lucknow, Shahranpur and Islamic seminary Darul-uloom Deoband, according to his interrogation report. "I spent two days in Dhaka and thereafter travelled to Delhi by Bangladesh Airlines (Biman), reaching the IGI Airport in the early hours of January 29, 1994. The immigration officials at the IGI commented that I did not look like a Portuguese but when I replied that that I was a Gujarati by birth, he did not hesitate to stamp my passport. "I hired a taxi and asked (the driver) for a good hotel. I was taken to the Ashok hotel in Chanakyapuri where I stayed," the interrogation report read. "They (the terrorists) were happy about my visit and merger of Harkat-ul-Mujahideen and Harkat-ul-Jihad al-Islami. I had taken their addresses and letters so that I could communicate their welfare to their families after returning to Pakistan," he had told the interrogators.